My most recent review for Numéro Cinq is now live. I have only been writing critical reviews for a year and this particular piece represents my most ambitious review to date. The ability to reach into a literary work, to tease out what makes it interesting, what makes it tick, or perhaps what does not quite gel, is a function of a certain chemistry. As a reviewer, when I find that hook— that angle—it is a wonderful feeling. But sometimes the surface is too smooth and I find it difficult to get a critical foothold, and it has nothing to do with how much I might have enjoyed a particular book. I can still write a review, but I wonder if I have done the book justice. Panorama, by Slovenian writer Dušan Šarotar, is a book that, as a writer, I feel I was meant to read and write about. At the end of the day there was so much I wanted to explore that I wondered if I could pull it off. This is a work that owes an admitted debt to W.G. Sebald; it is a novel that straddles the sensibilities of what we, in English language literature, insist on dividing into fiction and nonfiction—as if one is more true or more valid than the other. This book has, for me, finally opened up and challenged my resistance to blurring those lines in my own writing. When I think about it now, I am beginning to see this novel as a series of narratives (or if you like vignettes and short stories) recorded by an unnamed narrator. But the narratives function as meditations on a number of key themes, and the stories shared by the characters encountered are neither discrete nor chronological. The narrator’s journey provides an overarching framework, but his account closes, not at the end, but in the middle, and some threads are never fully resolved. Like life, they are left to be. Some literature defies simple description. Case in point, Panorama, by Slovenian poet and writer Dušan Šarotar. One might be inclined to define it as a meditation within a travelogue within a novel. Or perhaps you would prefer to rearrange those terms, it probably wouldn’t matter, because in spite of its subtitle: A Narrative about the Course of Events, Panorama stands at a curious angle to space and time. It is a novel of remembering, of telling and retelling, narratives within narratives, bound together by a coarse thread of repeating themes that are at once timeless and timely. 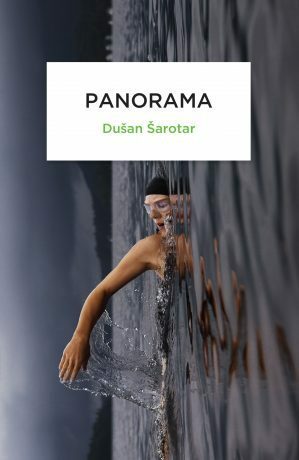 One of three Slovenian novels to be released this fall as part of the Peter Owen World Series, a new collaboration between Peter Owen Publishing and Istros Books, Panorama is Sarotar’s fourth novel, and his first to be translated into English. Born in Murska Sobota in northeastern Slovenia in 1968, he studied sociology and philosophy at the University of Ljubljana. In addition to his novels, he has published collections of short stories, poetry, and essays; and has written numerous screenplays. His prose, as exemplified in Panorama, has a poetic and richly cinematic feel. The review makes me want to read the book (good job!) but I can’t figure out how to order it. Any idea hot to get it? At the time I was working on this, release dates were still nebulous. Just today I found that the paper release in North America is May 1, 2017 (November 30 is the only date I could find while writing this). The UK release is November 17 and in the review I link to Peter Owen Publishing. Their shipping costs are exceptionally reasonable and, of course, there’s Book Depository. As a long time reader of Istros Books this new collaboration does mean that their books will finally reach bookshelves here, but I never wait if I really want something! I suspect you will really enjoy this book. I certainly hope more of Šarotar’s work makes it into translation. That’s a very clever cover. It’s disorientating, it hints at hidden depths below. It is a multi-layered narrative and one in which memory and time are distorted, thus disorienting. In the afterward, which is written by a poet who was brought in as a guest editor, Sarotar is described as compressing and imploding time. It’s very cinematic in feel and if one surrenders to the telling it is difficult not to be amazed and impressed as he builds on themes of loss, language, landscape, memory and migration. Istros do good stuff, I hope this new venture goes well for them. It opens access to a world market which is key. I think it a very promising match. Great review! I just ordered this from England. I am looking forward to reading this. I was hoping you would see this. I look forward to discussing this book with you after you have read it.